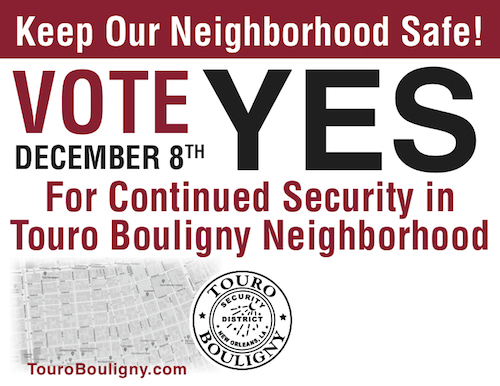 Please Vote Yes on December 8th for continued security in the Touro Bouligny Neighborhood. Did you know that the Touro Bouligny neighborhood was recently quoted as being the safest, with one factor being our Security Patrol? This safety record improves your property value and makes our area more desirable for all. For more information, visit www.TouroBouligny.com. Sponsored: The Louisiana Museum Foundation presents the Inaugural Founders Ball–the opening of the final tricentennial exhibition Want an insider’s look at the NOPD? Citizens Police Academy is taking applications.